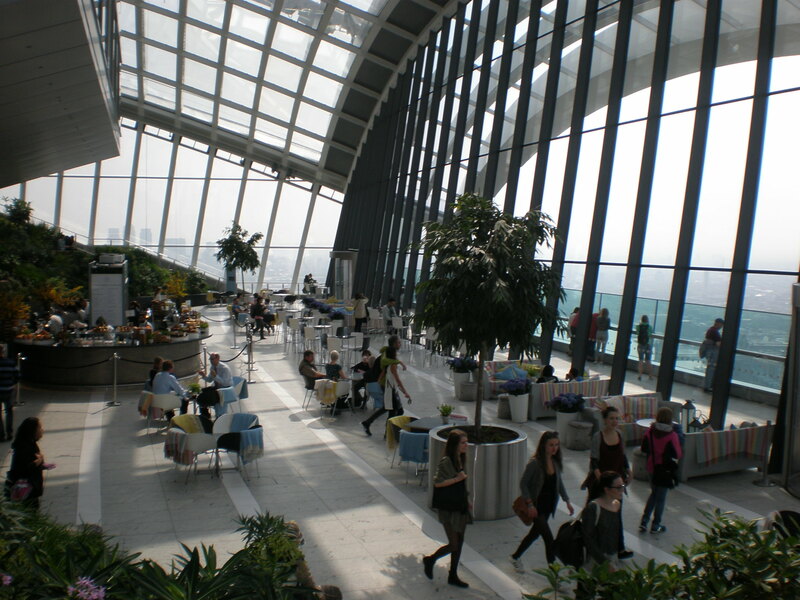 I have read so many blog posts about the Sky garden before my visit. I was really looking forward to seeing London from above especially since I won’t have to pay anything for it! 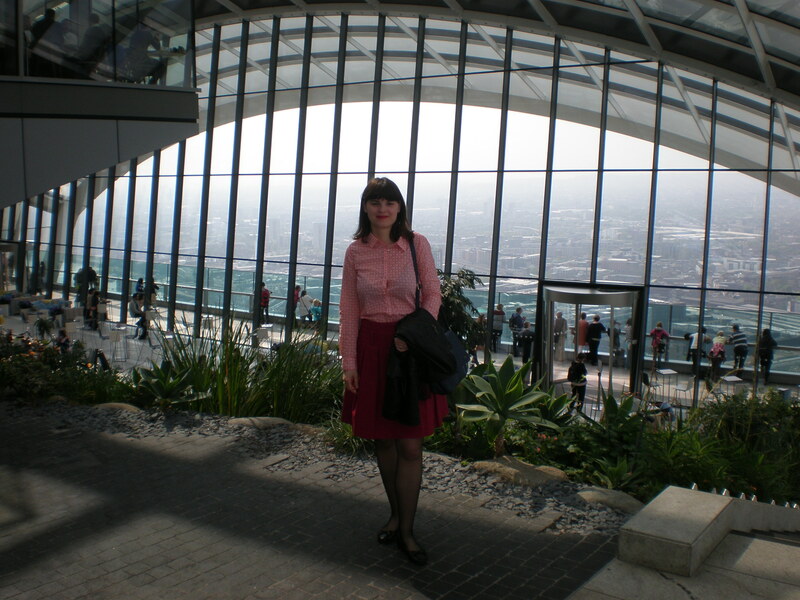 I like the City of London and I like London’s ever changing cityscape so I knew I’d enjoy my visit to the Sky Garden. After seeing the Paddington bear at the Paddington station I took the train to the Monument station. I didn’t look up when I left the tube station so I went down the wrong street and I had to backtrack my steps. 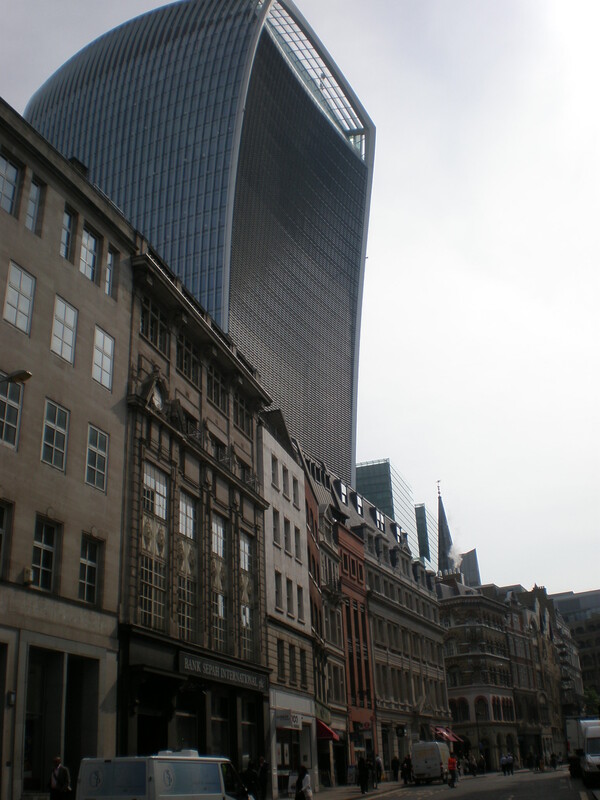 You can’t really miss the Walkie Talkie skyscraper with is glassed dome but you only have to look up! 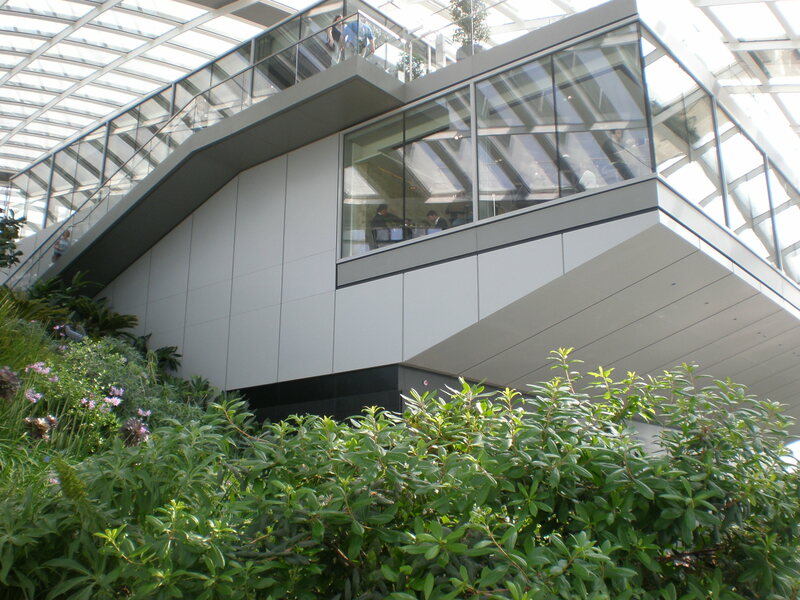 Anyway, I quickly found the entrance, went through the security and I was soon in the Sky Garden. First impressions: it is huge. And there’s so much light! And so many plants! I walked straight to the open air terrace and took many photographs. However, it was sunny but not really clear so my photos aren’t that good and they definitely don’t do justice to the magnificent views. 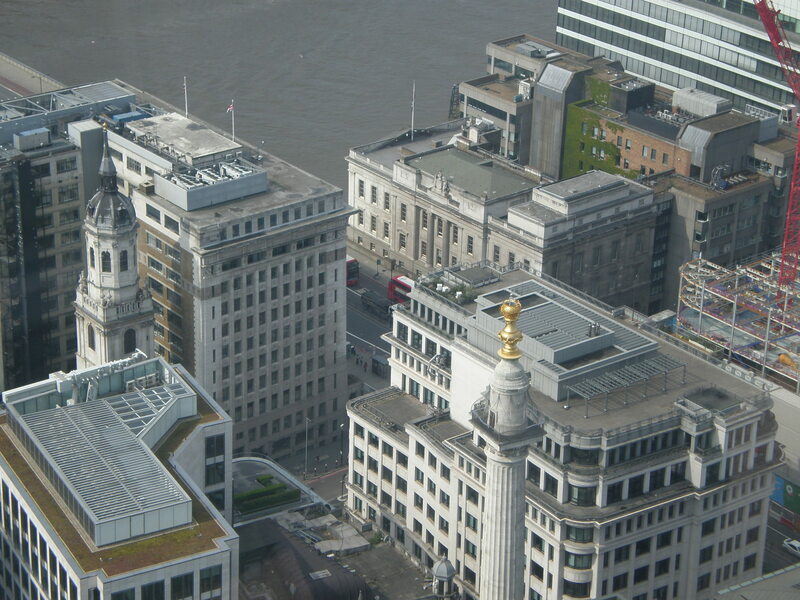 Since you’re high above the City of London the best views you get are the views of the Tower of London and the Tower Bridge and the Shard and St Paul’s and the rest of the City of London. You can see all the way to the Canary Wharf and the London Eye but you only get a glimpse of Big Ben. 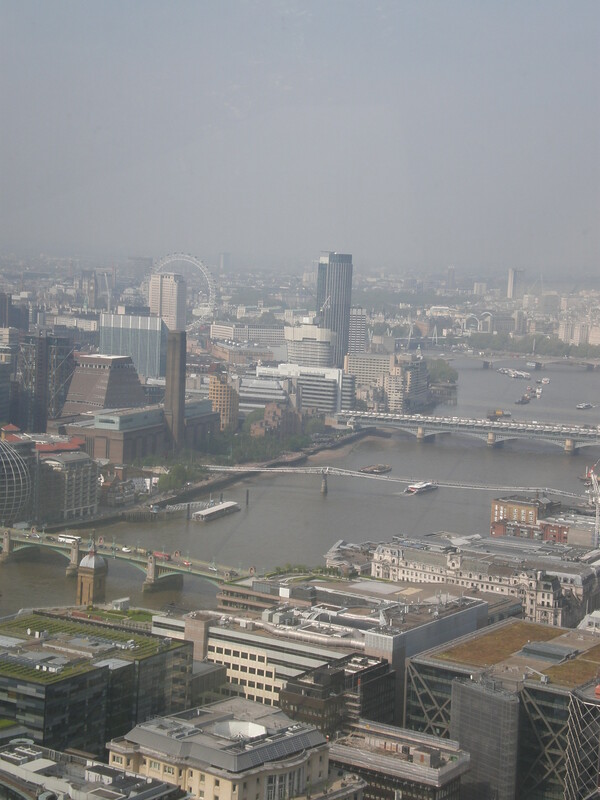 Since I love seeing the Houses of the Parliament and Big Ben from the London Eye I was slightly disappointed that those can’t be seen well from the Sky Garden. 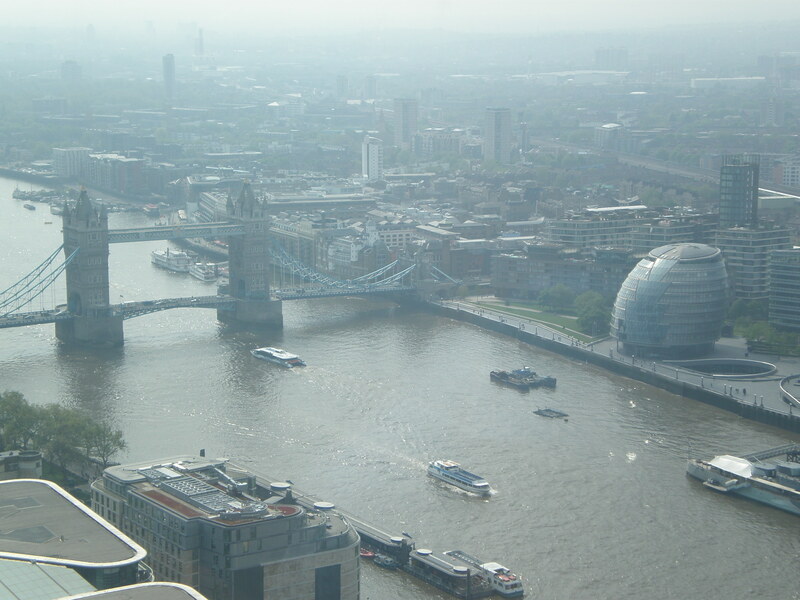 But you can’t see the Tower Bridge from the London Eye too. The glass fence at the open air terrace also gets in the way of making good photos but it has to be there for security reasons. I went inside and wandered around the Sky Pod Bar area with its tables and sofas. Then I climbed up to the next level (on the left side) and went passed the plants to see the view from the other side. 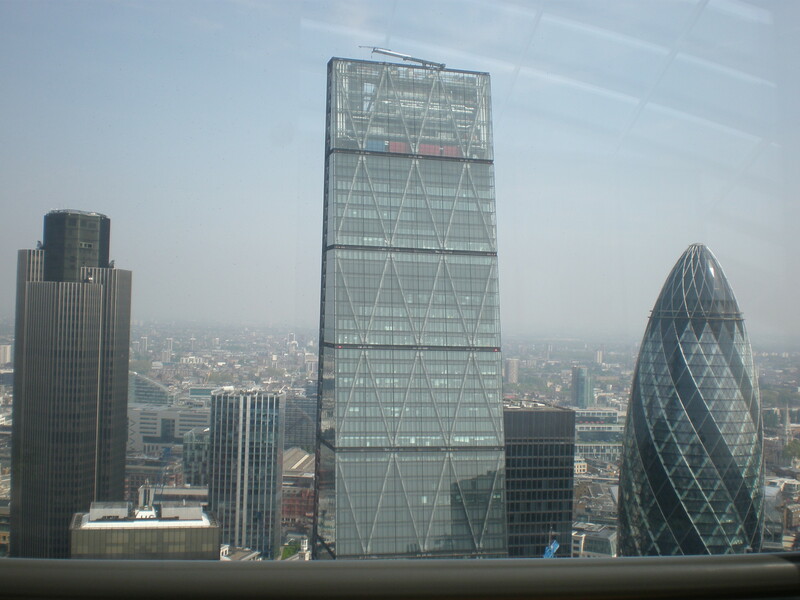 You are really close to the Gherkin and the other skyscrapers on this side. There’s City Garden Bar area. I went down the stairs on the right side and saw Canary Wharf in the distance. Then I went out to the terrace again. After a while I decided to have a drink and chose a tasty berry smoothie in Sky Pod Bar. After my drink I went out to the terrace one last time and finished my visit to the Sky Garden. I’m not sure how much time I spent at Sky Garden but it was probably around an hour or a bit more. My booking was for 10 AM and there weren’t a lot of people. 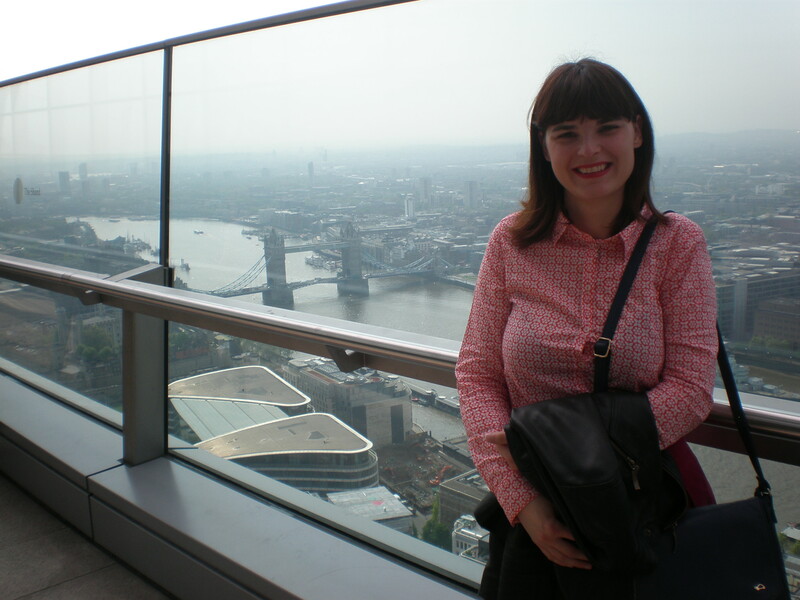 I enjoyed visiting the Sky Garden and admiring the free views of London. BUT somehow I wasn’t as exhilarated as I should have been. Maybe because I saw so many photos prior to my visit and read so many impressions from other people. 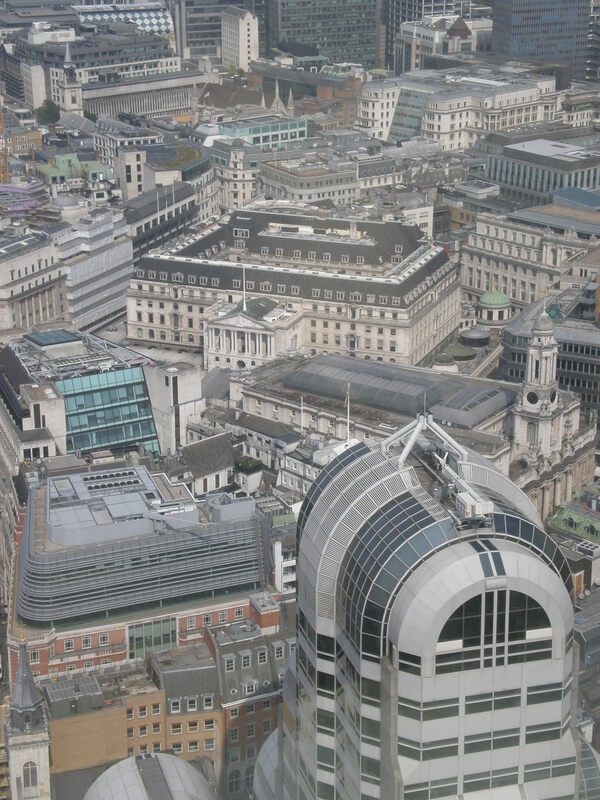 I did the view from the Monument (it’s still the cheapest in London among the ticket buying views) and the view from St Paul’s years ago. 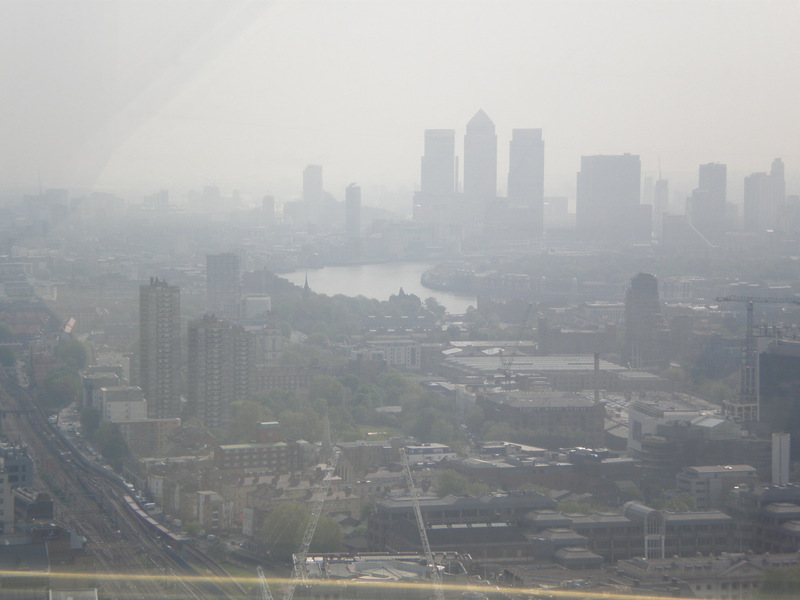 So I didn’t find the views from the Sky Garden to be so different from what I had seen before-you’re only higher (and you can see up to Canary Wharf). Also, I really like looking down on Big Ben and you can only do that from the London Eye. 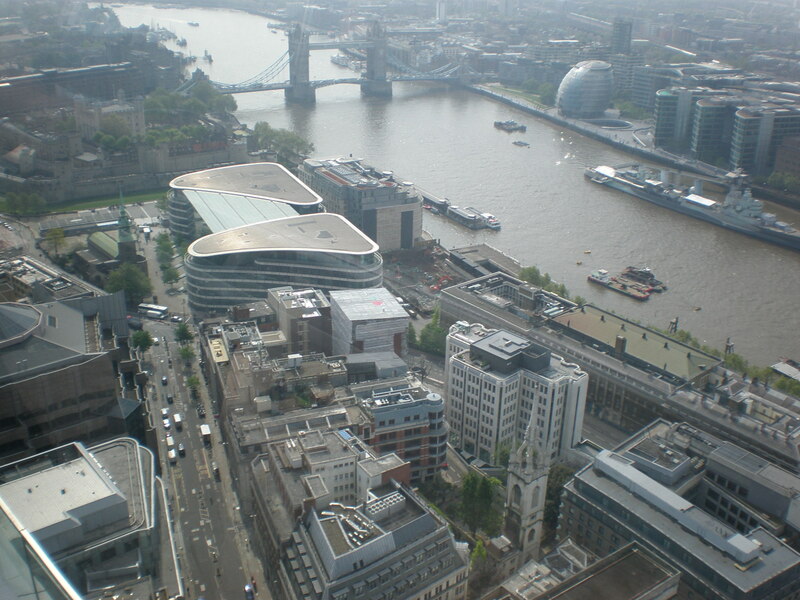 Don’t get me wrong, the views from the Sky Garden are SPECTACULAR and they’re FREE. I guess reading too much about it has spoilt the experience for me a bit and here I am doing the same thing to someone else. Sorry! 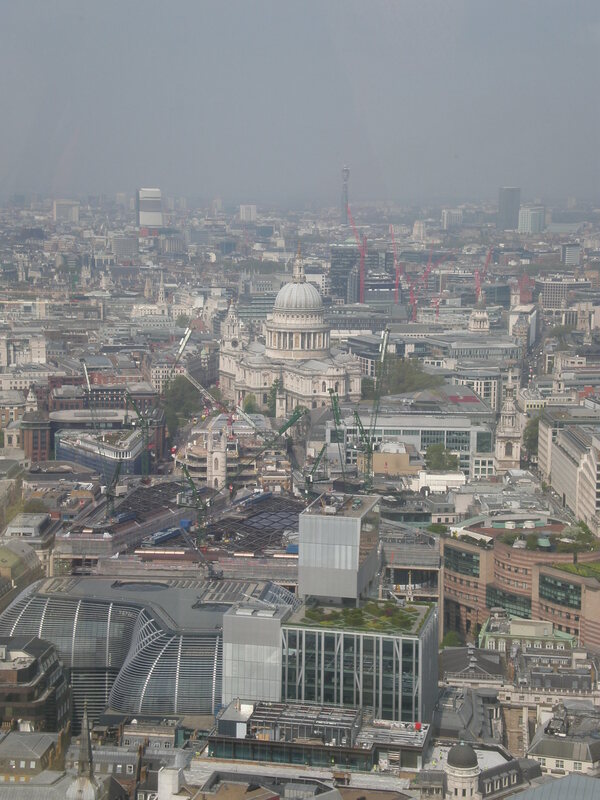 Do I recommend visit to Sky Garden? YES!!! 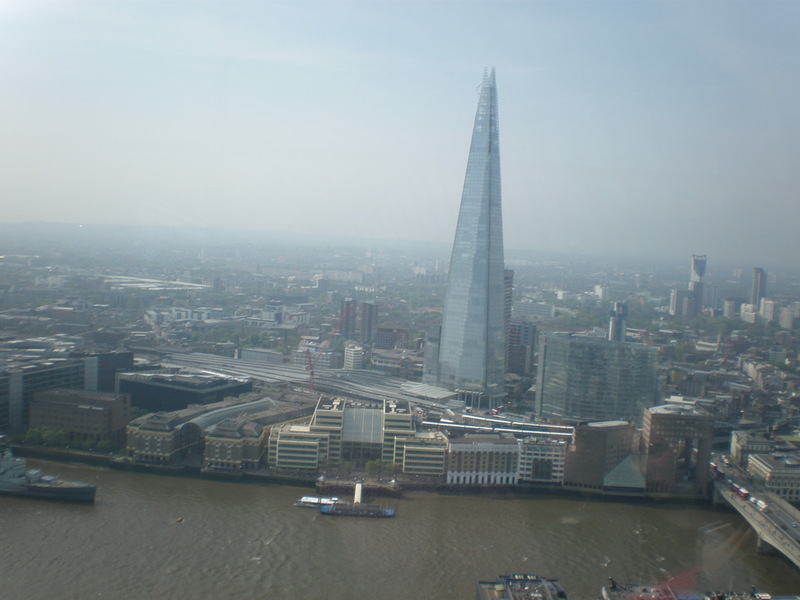 What’s your best free view of London? Such gorgeous pictures, Looks like amazing place to visit. I still need to get up there, sounds like it’s worth doing even if it didn’t quite meet your expectations. I definitely agree that seeing too much of something before you go can sometimes make it disappointing, but sounds like this is still a good experience! This is still on my London to-do list – thanks for all the tips! It looks well worth it, specially because it is for free. London is just so great! Wow that’s such an unusual place! I love the view! 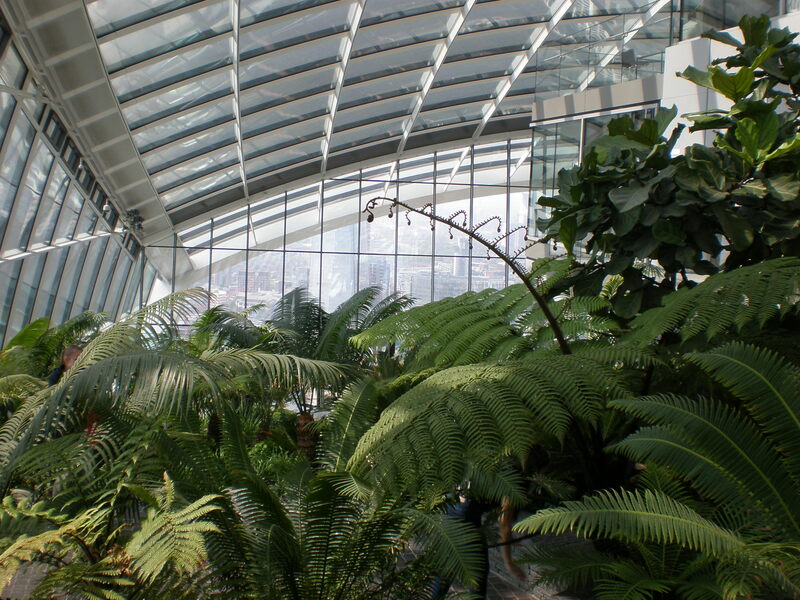 I really like the Sky Garden and I’ve always liked indoor gardens. ok:) thanks! do visit it! On my list … it looks like an incredible space in addition to the views. Some really good tips here, Tanja. 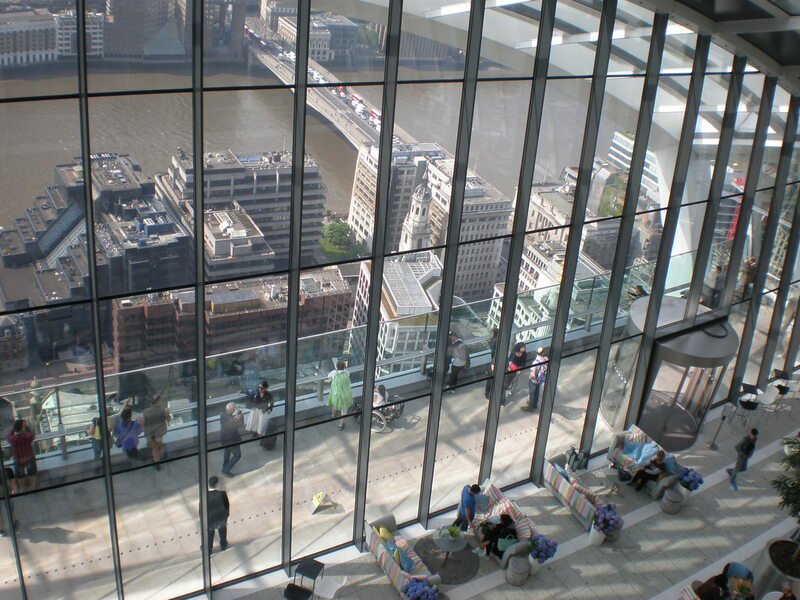 I’ve still got to do the Sky Garden – it’s definitely on the list. Thanks so much for your helpful post. you’re welcome:) enjoy your visit! 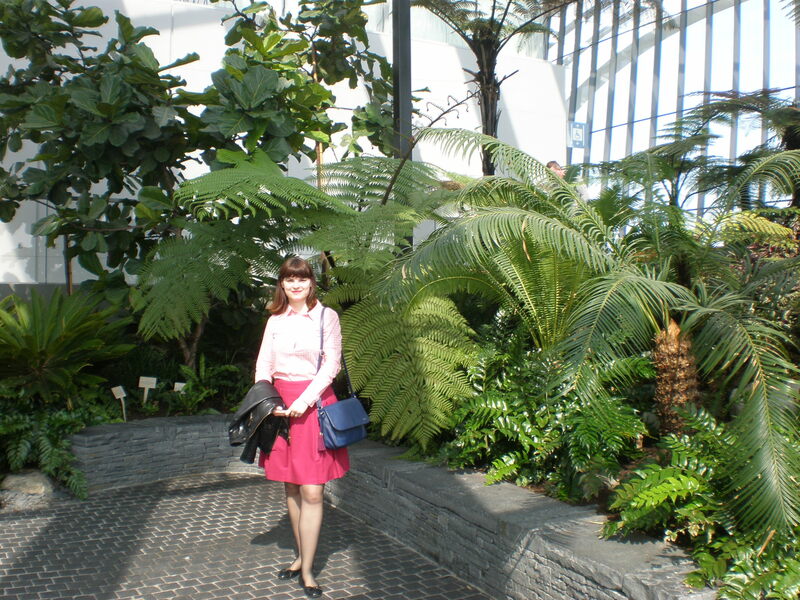 Enjoyed reading about your visit to the Sky Garden, Tanja. Decided to visit it during my next visit to London. thanks:) well, sky garden won’t escape you, you just need to make a new booking:) and open house is a great event! I do know what you mean about expecting more than you get from an experience! You definitely visited at the right time as it gets BUSY but it’s a shame there weren’t blue skies! I had no idea you had to book in advance even though it’s free – good to know! Tanja what an incredible view it is from up there. You can see almost everything.It reminds me of the Empire State Building in New York, which is not free, by the way. I’ve seen a few articles on this place recently – looks amazing! Can’t wait to visit – I’ve reserved tickets twice and things have popped up preventing me from going. Looks amazing! I am impressed with how few people are in your photos. I had thought about going when we were in London in April but I thought it would be crowded. I think I will put it on my list for our next trip.